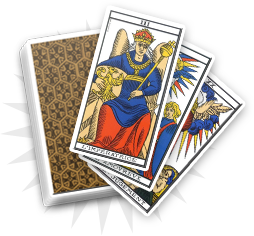 In cartomancy, the two of hearts is difficult to interpret. We would like to associate it with values of warmth, happiness, joy or heart, but the two of hearts is more than that. 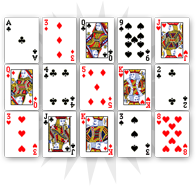 Like most of the hearts, the two of hearts is a card appreciated during the picking phase. It seems to illuminate the consultant’s life thanks to its warm colour, which generally indicates positive or happy elements. 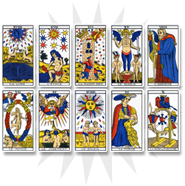 If it can indicate success in love or the realization of a romantic relationship through marriage, the two of hearts can also bring sadness and melancholy. It can announce bad or painful news. Smallest card of the heart colour, the two of hearts bears a message of hope. You will have to face unexpected events that could bring new projects. But be careful, do not go too fast. You have to keep in mind that nothing lasts forever. The best things sometimes lead to the worse situations and the two of hearts is here to warn about the consequences of an unexpected situation. You have to survey your relatives. A member of your family, or one of your close friends, is about to meet someone important, or to get engaged in a relationship. You will have to guide him/her and give him/her some advice to help him/her avoid bad experiences. 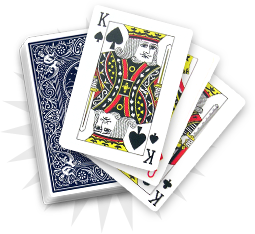 Nothing really predicts that something can go wrong, but stay attentive as the two of hearts sometimes symbolizes sadness and romantic deception. It brings joy but also unknown events.